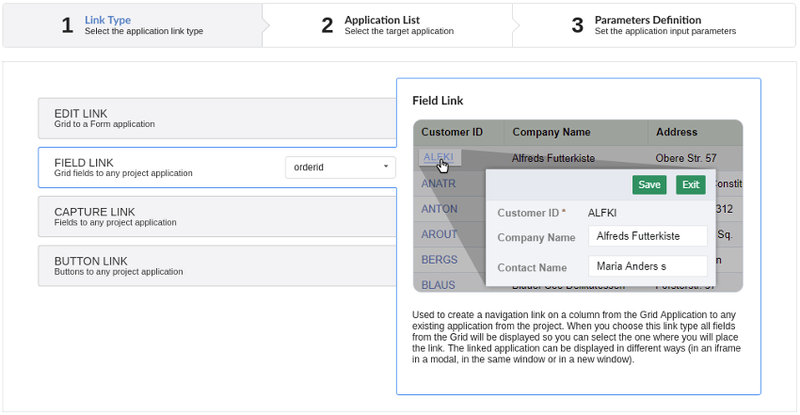 Allows to create a link, represented through a link, from a grid’s column to any project’s existing application. All the links are displayed in a dropdown if there are more than one link to the same field. 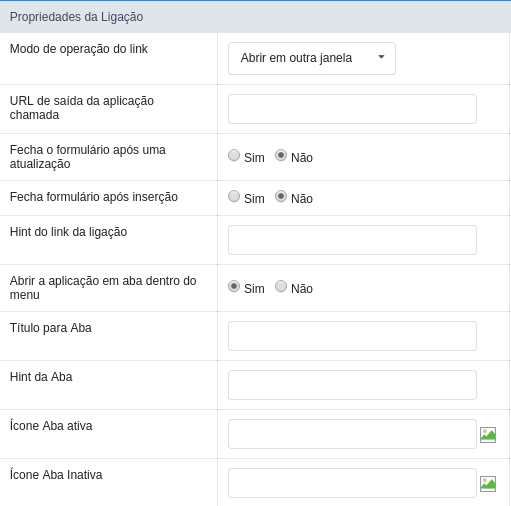 In the types of link option, we will choose the Field link. Grid: The application will be executed as a grid. Search: The application will be executed as a search. In this option we can define the quantity of rows that will be displayed in the target application. In this option we can define the quantity of columns that will be displayed in the target application. 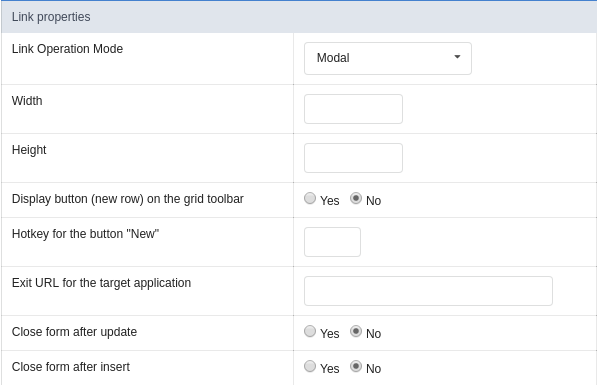 In this option we can define if the target application’s pagination will be total or partial, in case partial is the selected option the quantity of rows will be the informed previously. 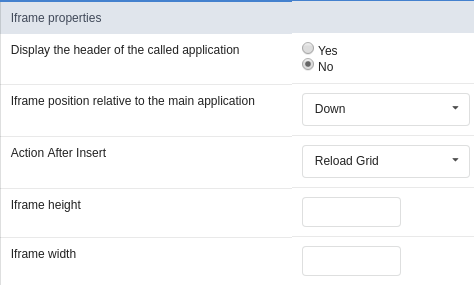 In this option we can define if the target application’s header will be displayed.